Have you been wanting to start your own mobile coffee bike, but don’t have the funds saved up yet? Or maybe you’re looking for a promo bike to advertise your boutique, but you just don’t have it in your budget to shell out the money upfront? Even though we aim to make the most affordable vending bikes on the market, we know that starting your dream business does come with an investment, and sometimes one that you can’t pay for all up front. That’s why we offer financing at Ferla Bikes! With Quickspark, you can finance your bike with flexible terms ranging anywhere from to 12-60 months, giving you plenty of time to generate income with your new business and foot the bill. You also have the ability to apply using your business’s EIN number (rather than your social security number), and every penny you pay towards financing your bike is 100% tax deductible. The best part? 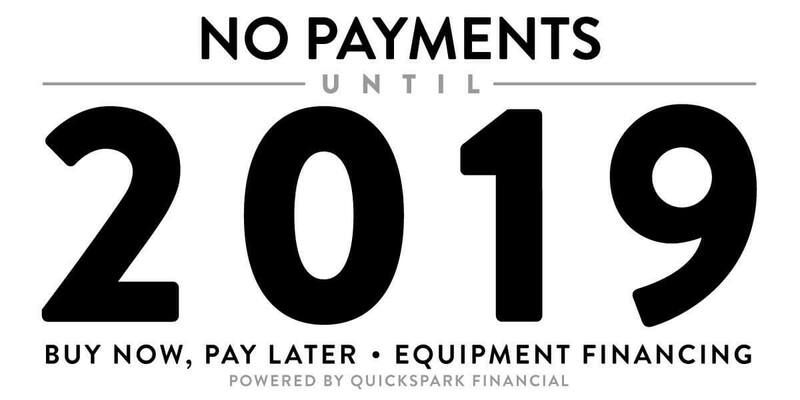 Quickspark is now helping Ferla Bikers the chance to finance their bike with no payments whatsoever until 2019! That means that you have almost fifty full days to market your new business and set up shop before you pay a penny for your Ferla Bike. Are you ready to start start your new venture already? The timing is better than ever – with the new year around the corner, and the opportunity to finance your business with no payments until then, starting your dream business should be at the top of your to-do list in 2019! Are you ready to finance your dream business? Apply with Quickspark today to find out just how feasible it is to start your own mobile restaurant or boutique!